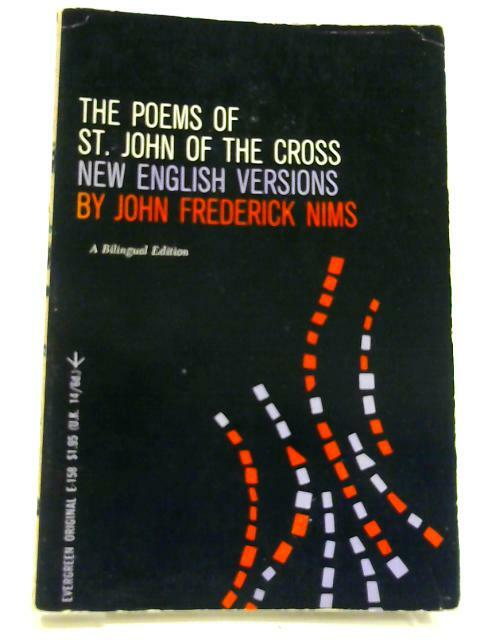 The Poems of St. John of the Cross by Nims, John F.
1959. 147 pages. Third Printing. Pictorial paperback. Pages and binding are presentable with no major defects. Minor issues present such as mild cracking, inscriptions, inserts, light foxing, tanning and thumb marking. Overall a good condition item. Paper cover has mild edge wear with light rubbing and creasing. Some light marking and sunning.